The game will not feature 1080p visuals as previously thought. Mass Effect 3 will be rendered in 720p on Wii U, according to the Australian developer Straight Right who are developing the Wii U version. It was recently reported in Nintendo Power that the Wii U edition of Mass Effect 3 would feature 1080p visuals. The CEO of Straight Right, Tom Crago, has told NWR that, "The game will run at 720p." Join other NWR readers and play your favorite online games this Tuesday! Nintendo World Report Community Night returns this Tuesday, September 4, starting at 10 p.m. Eastern/7 Pacific/2 a.m. UTC. We're keeping with the idea of the players choosing the games, so if you've got something in mind feel free to suggest it now or in the chat during the event. Is there an old Wii or DS game you've been aching to play online, or a 3DS game we haven't picked in a while? Try and recruit other players here! Update: The game will actually run in 720p. For the first time on a home console, Mass Effect 3 will run in full 1080p resolution, according to September's Nintendo Power, issue V282. The article has also re-confirmed that the extended cut of the ending sequence and other various DLC characters and weapons for the four player online co-op mode will also be included on the disk. March to the beat of your own fun. Namco Bandai’s ever-popular music rhythm series, Taiko no Tatsujin, has just had a new entry in the long running series announced. Namco Bandai will be releasing Taiko no Tatsujin: Super Splendid Edition for the Wii on November 29, 2012 in Japan. Race through tunnels, collect eggs, and tap along to classic Final Fantasy music in this week's crop of downloads. 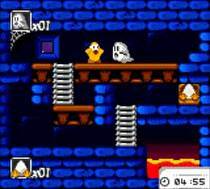 This week's Nintendo Downloads brings some of everything, from 3DS eShop titles to Virtual Console to DSiWare and a demo. SpeedX 3D - $3.99Race through endless tunnels with hypnotic graphics and electronic music. A first-person view and 3D effects immerse the player in the game world. Play through four game modes, including an endless mode that lets you see how far you can go without losing concentration. A new trailer for Intelligent Systems' upcoming Paper Mario: Sticker Star was released alongside yesterday's Nintendo Direct. Fire up your Wii, the indie-retro side-scroller appears to have finally found a publisher in America. La-Mulana will arrive on the North American WiiWare shop on September 20, according to the game's profile listing on Nintendo's website. The delayed title now has a more specific release window. 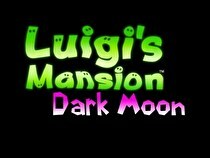 Luigi's Mansion: Dark Moon is coming out in the first quarter of 2013. The game was originally slated for a release during the holiday season of this year, but was pushed to next year as of earlier this month. As reported by the official Nintendo of America Twitter account, Luigi's Mansion will specifically be coming out before the end of March. The long-awaited entry in the Animal Crossing series is coming by June next year. The 3DS version of Animal Crossing, titled Animal Crossing: Jump Out in Japan, will arrive in North American stores during the first half of 2013. 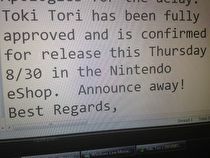 Nintendo of America tweeted "Animal Crossing is launching for Nintendo #3DS during the first half of 2013! Tell us your favorite Animal Crossing memory." This morning we learned that the game is coming to Japan on November 8. "Demon Training" is coming to North America this year. Brain Age: Concentration Training, the latest entry in the popular Brain Age series, is coming to 3DS in North America on December 3. 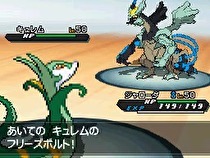 The game came out in Japan in late July under the name Touhoku Daigaku Kareiigakukenkyuujo Kawashima Ryuuta Kyouju Kanshuu Monosugoku Nou o Kitareru 5 Funkan no Oni Training. It features a demon version of Dr. Kawashima, and a lot of exercises that work the memory. A new breeding mechanic in Pokémon Black and White 2 has been discovered two months after its initial release. 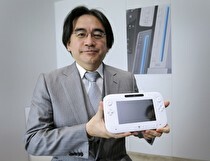 The game makes its long-awaited debut in a matter of weeks. 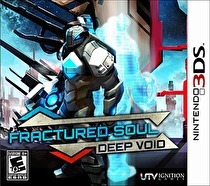 Fractured Soul is set for release on the North American 3DS eShop on September 13 for $11.99. A special anniversary edition is also on its way. 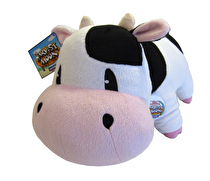 Harvest Moon: A New Beginning will land in North American stores on November 6, 2012, according to the game's publisher Natsume. If you want the game you won't have to wait much longer for it to be available. Toki Tori has been confirmed and approved for release on the Nintendo eShop this Thursday, according to a message sent out by Two Tribes via Twitter. In this video, the video game version of Satoru Iwata does awesome things like ride roller coasters and play in a rock band. Tomodachi Collection is coming to 3DS in Japan in spring 2013. The game, originally announced in September 2011 and slated for a fiscal year 2012 release, is the follow-up to the beloved 2009 DS release of the same name. The below trailer is pretty much ridiculous, showcasing Nintendo President Satoru Iwata in a multitude of whimsical situations. Gamers in Japan can try out some of the games they just learned about! Immediately after the latest Nintendo Direct Event in Japan, four new demos appeared on the eShop on the Nintendo 3DS in Japan. Players can download demos for Medalot 7, Samurai Chronicles The Second, Rhythm Hunter: HarmoKnight, and Airport Hero 3D. All of the titles, with the exception of Airport Hero 3D, will be available for purchase next month. There is currently no word if any of these titles will be released in the West. Capcom's cel shaded, stylized Lost Planet spin-off hits this November. EX Troopers, a Lost Planet spin-off title developed by Capcom, will release on November 22 in Japan for 5,990 yen. The game, which is an action “beginner’s shooter” puts players in the role of Bren Turner who is enrolled in an academy on EDN-3rd, one of the main locations from the game. The game features a cel-shaded, anime-inspired look that sets it apart visually from the main games in the Lost Planet series. The popular Genius Sonority RPG gets a sequel! Denpa Ningen no RPG 2, the sequel to the popular Genious Sonority RPG, Denpa Ningen no RPG, released earlier in the year in Japan, is coming to the Nintendo 3DS eShop in Japan on September 26 for 1,000 yen. Players will be able to transfer their characters from the original title, as well as have a chance to try out the Denpa Ningen 2 with a demo shortly beforehand. If you're good enough at the game to beat everyone in Japan, the new system is yours! Gamers in Japan will have a chance to win a limited edition Culdcept Nintendo 3DS LL (3DS XL in the West) in Japan. We don't know exactly when or what it will be, but it's coming sooner than you think.